Taking shots of alcohol like a pro is actually simple and straight forward. With a few tips, concerns about looking like an amateur will never be an issue. 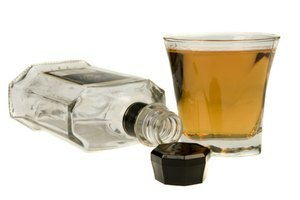 To take a shot properly, stick to straight liquor rather than shooters, which are often liquor mixed with juice or a mixer. Do not light a shot on fire or try to sip on it, either. Avoid holding the alcohol in the mouth or immediately chasing with a beer, mixer or other drinks. To really look like a pro, do not play up how tough a shot is to take, but act like it was nothing. Shots are great for bonding with a group or for loosening up before a night out with friends. 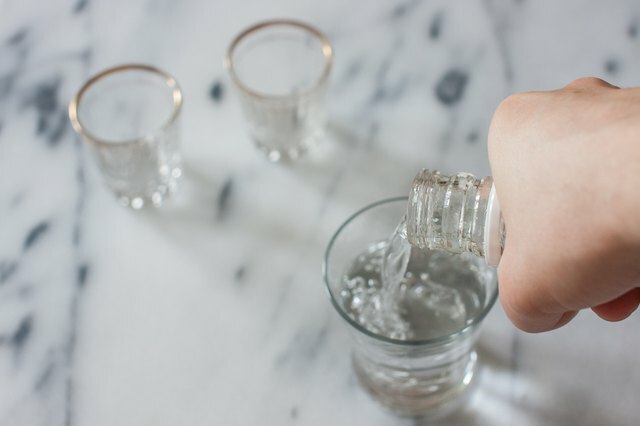 While taking a vodka shot is not complex, there are a few variations to be aware of. For example, taking a vodka shot can be followed by licking salt off the back of your hand or from the space between your forefinger and thumb before biting into a slice of lemon. Jello shots: There's another bit of etiquette to know when taking jello shots. If the jello comes in a glass shot, there will likely be a toothpick or some other instrument stuck in it. Do not break up the jello by running the toothpick back and forth through the jello. Instead, use the pick to run around the rim and lift the jello from the bottom of the glass. This allows the jello to cleanly drop out of the glass when tossed back. If a jello shot is served in plastic, feel free to give the cup a squeeze to loosen it. Some glasses are much larger than the jello shot, in which case, simply use a couple of fingers to pick it up. It is okay to swish the jello around a bit, much like mouth wash, to break it up before swallowing. Note that jello shots in syringes are typically looser. 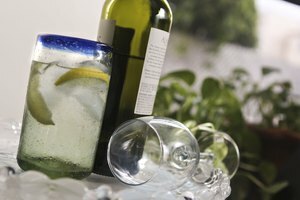 For the health conscious, vodka is one of the lowest-calorie liquors to choose when taking a shot or ordering a mixed drink. Do, however, be aware of calories in mixers if you're trying to avoid adding calories. For example, tonic water has sugar in it, and is higher in calories than club soda. Tequila shots are among the most popular shots to take as a group. While tequila shots can be taken by themselves, there is an ordered sequence if using salt and lime. To chase the shot with salt and lime, prep your hand first by licking it before sprinkling salt on it so that the salt sticks. Next, shoot back the entire shot. Then, lick the salt off the back of your hand or from the triangle of skin between the thumb and forefinger. Finish the sequence by sucking on a slice of lime. Repeat. 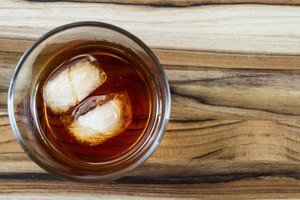 Rum is often mixed with coke as a mixed drink, but rum is also another liquor you can drink on its own. There are a few of options to change the routine of taking shots of rum straight. 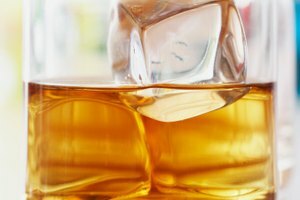 The easiest option is to chase the rum shot with a mixer, but a more interesting choice is to do a boilermaker, or beer cocktail. In this case, the shot of liquor can be taken before chasing it with a beer, or the shot may be dropped into the beer glass, which is then meant to be chugged. 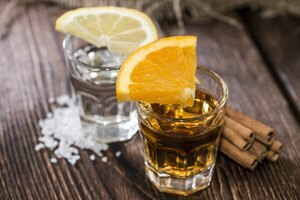 Finally, for a spin on the three-step sequence, take a shot of rum, lick sugar off the back of your hand and finish with an orange slice or other citrus.